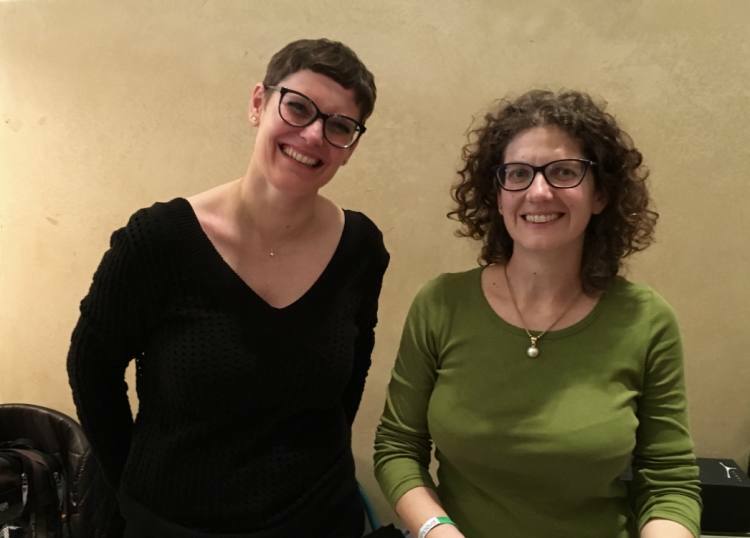 Soft-spoken, smiling and gentle, Elena Panteoni doesn’t fit the description of a typical revolutionary, but she is one in her own way. She has made a series of choices that have dramatically changed La Stoppa since her tenure began in 1991. 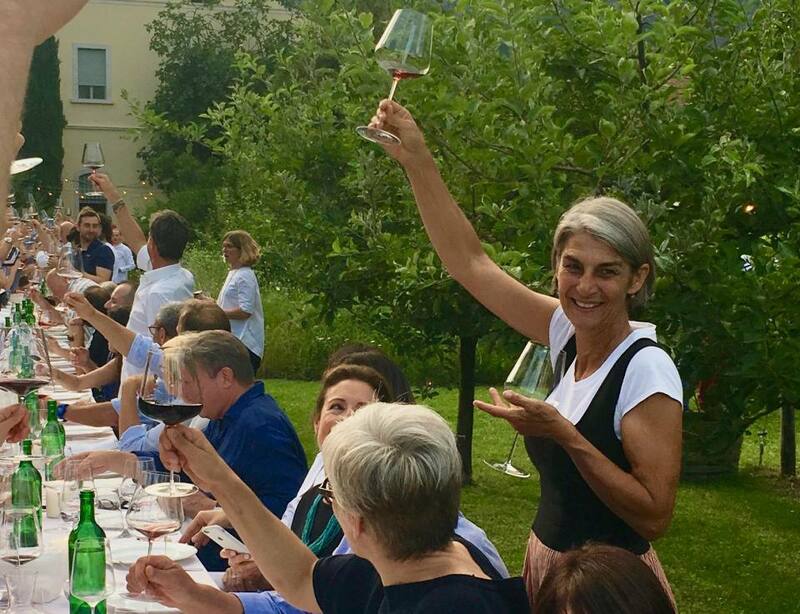 She has also become a recognized mentor/leader in Italy for the artisanal production of wine. At the end of this video, she explains how important it is to know whether you’re drinking “artisanal” or “industrial” wine…and that the only way to know for sure is to visit a winery or trust someone to go for you. She says that “artisanal wine” is the opposite of “industrial wine” (where the wine is produced to taste the same year after year according to a set template). It all depends on whether the vintner wants to let the terroir and the vintage year express their “personalities” or not. It is a mentality and an approach that is hard to certify. Elena and Giulio Armani, who have worked side by side La Stoppa since 1991, came to these realizations over the years through trial and error. Elena’s father, a printer, bought the property in 1973. The vineyards were predominantly planted with international grape varieties like Cabernet Sauvignon, Pinot Noir, Chardonnay and Sauvignon. The old bottle labels show the Italian names, “Pinò” and “Bordò. At the time, these varieties symbolized “quality” since local varieties were used to make “local” wine. Elena and Giulio decided that the climate was too hot to make the best of those varieties. They began replanting those vineyards with indigenous varieties: Barbera, Bonarda, Malvasia di Candia, Ortruga and Trebbiano. Here the bottles are stacked in the cellar. As she points out in the video above, however, Elena sees overall approach as more important than a check list of methods. Elena and Giulio’s philosophy is “Wines only ‘makes sense’ if they have a strong identity…if the place and the climate are recognizable…if you make something unique.” And La Stoppa’s very much are all of those things. Rivergaro’s warm climate and heavy clay soil is a challenge. La Stoppa’s vineyards are also relatively low at about 600 feet. Historically, the area has been dominated by cooperatives and industrial production, but Elena has been undaunted. She is not one to complain. 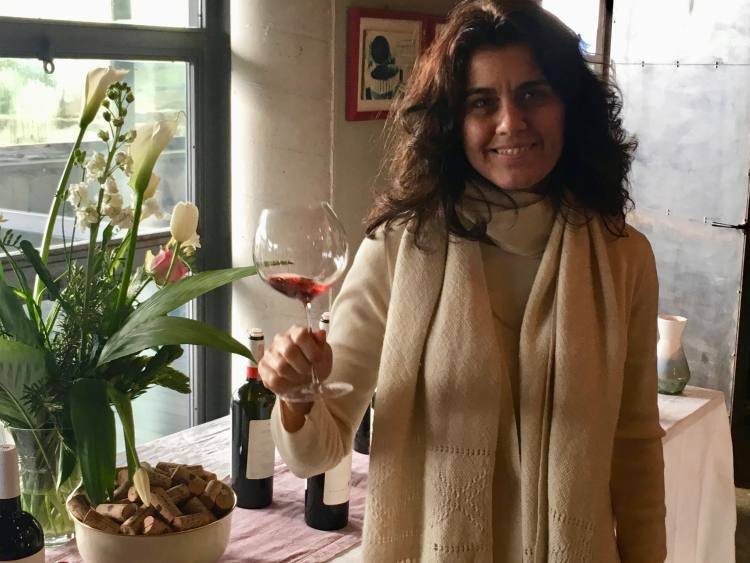 She has her own way of making extraordinary wine at La Stoppa with the grapes that are native to the Colli Piacentini. Notably, all La Stoppa wine is labeled IGT even when it qualifies as Colli Piacentini DOC. Why? Because she doesn’t believe that the bureaucratic controls of the DOC/DOCG system have any capacity to evaluate the quality of her wine. 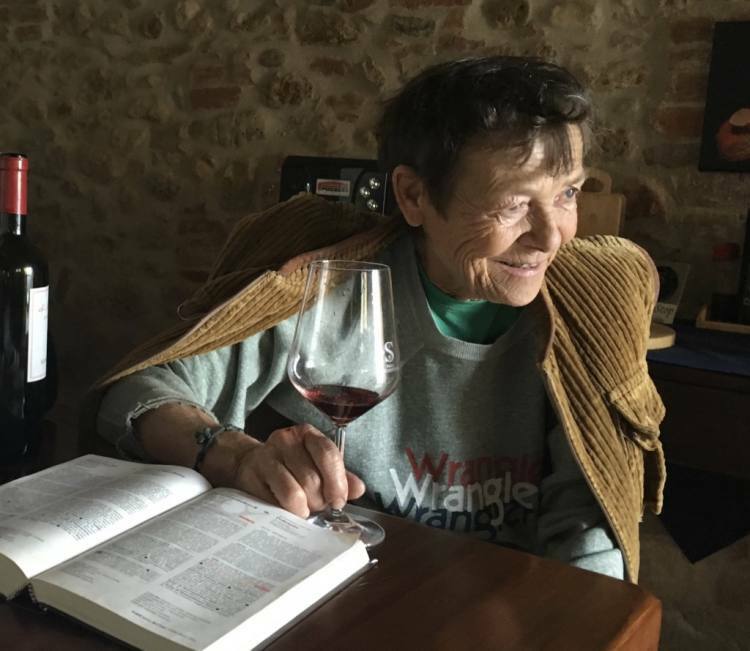 Instead she points out that the DOC/DOCG/DOP labels, which refer to guaranteeing the origin of food and wine, are ironically being put on products that have very little connection with the terroir. This is the theme of Jonathon Nossiter’s new film Natural Resistance, which features Elena. 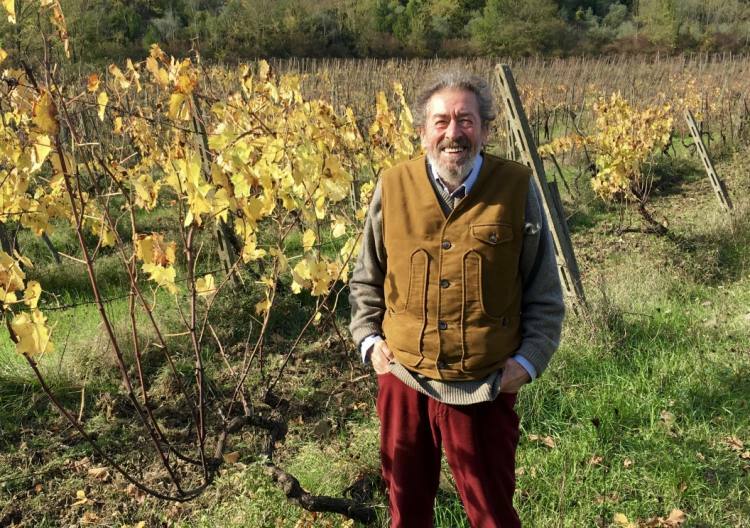 In the trailer (only available now in Italian or French), she and others like biodynamic vintner Stefano Belotti of Cascina degli Ulivi discuss the need to resist trends toward industrial production of both food and wine. The film is not yet available for purchase but Nossiter’s first film, Mondovino, is and is well worth viewing. On the day of my visit Elena and Giulio invited me to taste their wines over lunch with Elena’s mother and two friend of theirs. My notes follow. A blend of 25% each of native grapes Malvasia di Candia, Ortruga Trebbiano, and Santa Maria. This beautiful “orange” wine macerates thirty days on the skins (giving it tannins and structure), ferments with indigenous yeast, ages a year in large barrels and at least two years in bottles. It is dry but slightly aromatic. Not filtered. 13,5% This fairly structured wine should be paired with food. We drank with homemade tripe. From 25-45 year old vines with 30-day maceration, indigenous yeasts, a year in used barriques and at least two years in the bottle. Unfiltered. 14,5% Dark fruit aromas and flavors. Very fresh and structured. From 10, 30, 60-year old vines with 30-day maceration, indigenous yeasts, a year in large barrels and at least two years in the bottle. Unfiltered. 15% La Stoppa’s flagship. Elegant, structured, rich and complex wine. 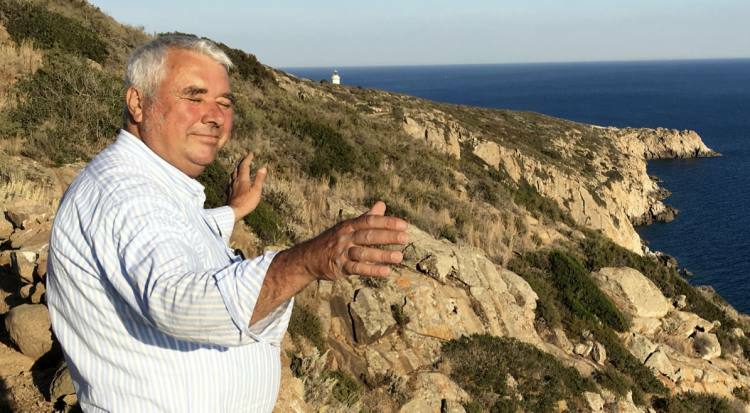 Giulio Armani’s own wine made from younger vines higher up (!500 feet). His grapes ripen later so he can use the cellar at La Stoppa to make his wines when Elena’s wine is already finished. An “orange” wine like Ageno but made from grapes grown in limestone soil, giving the grapes and the wine a different flavor. 10,5% A dry wine but rich. Giulio likes to pair with Emilian specialties like La Torta di Patate or Lo Strudel with pumpkin, bacon and mushrooms. Malvasia sparkling Malvasia di Candia white. Dry but lightly aromatic. Trebbiolo (named for the Trebbia River nearby) a less structured version of the 60/40 Bonarda/Barbera. Younger vines. Less clay, more limestone soil. Shorter maceration. Vinified in steel. No aging. There is both a still and a sparkling version. Immediate wines for easy drinking or warmer weather. 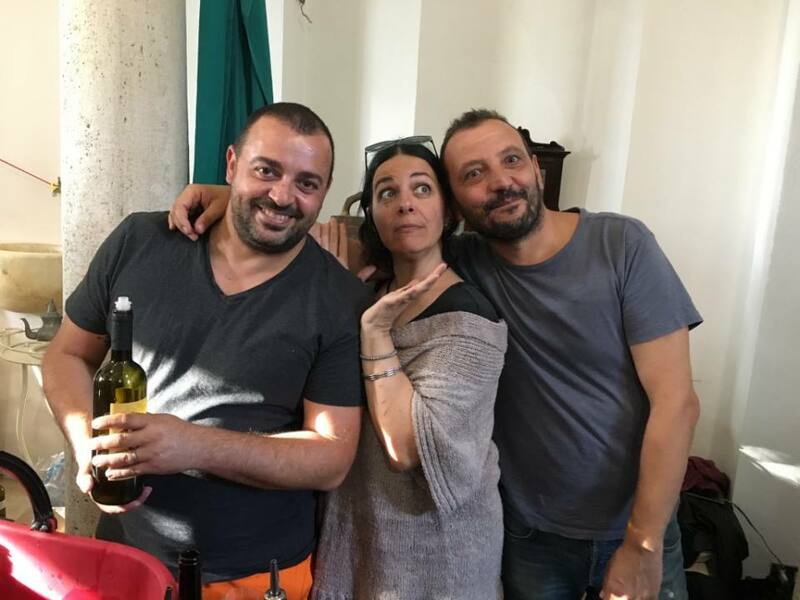 Both Elena and Giulio are active in FIVI The Federation of Independent Italian Winegrowers.